This week’s edition of ‘UNESCO Monday’ is a guest post from Brad Nguyen, a long time friend of mine, fellow UNESCO World Heritage enthusiast, and excellent photographer. 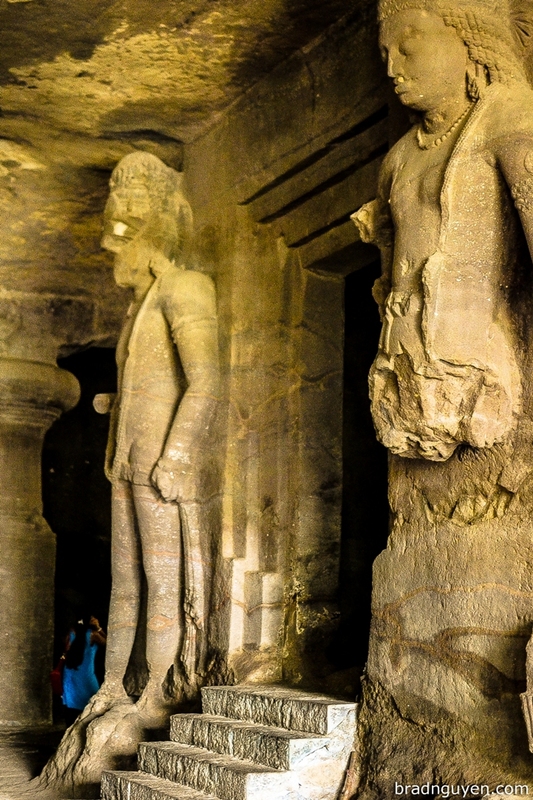 The Elephanta Caves are located on Elephanta Island, locally known as Ghapuri. The Portuguese named the site Elephanta after a large statue of an elephant found at the entrance of the island. The caves were carved by Hindus between the 5th and 8th centuries. In order to reach the island, one must take a ferry from Mumbai. The ferry entrance is located beside the Gateway of India, where British colonists left India after independence, and the Taj Mahal Palace, a site of the 2008 Mumbai terrorist attacks. Brad Nguyen is a photographer, writer, and educator based out of India. You can find examples of his excellent photography work here. It’s on my bucket list Julio. Mine too! This was a guest post so I’ve personally never been.